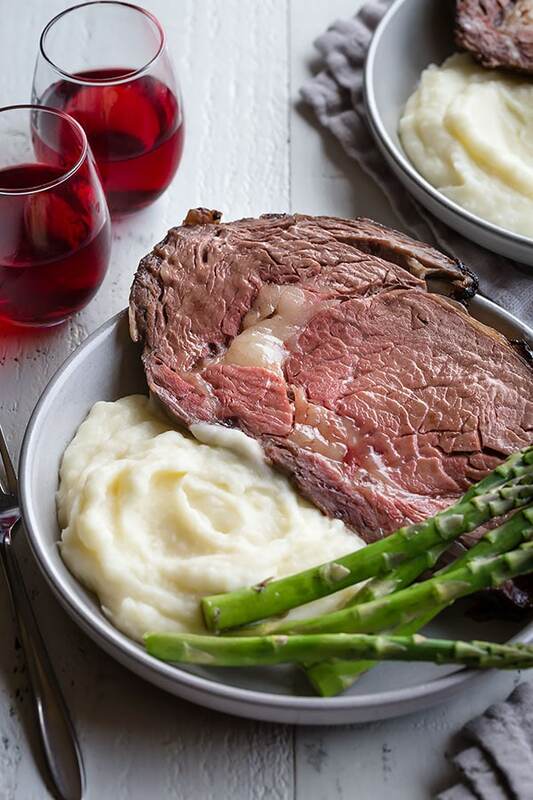 Impress your guests with the best prime rib roast this holiday season. Even if you’ve never cooked a prime rib, don’t stress about messing up. Get yourself a meat thermometer and get cooking that beautiful roast low and slow with this fool-proof reverse searing method. Holiday season is upon us!!! 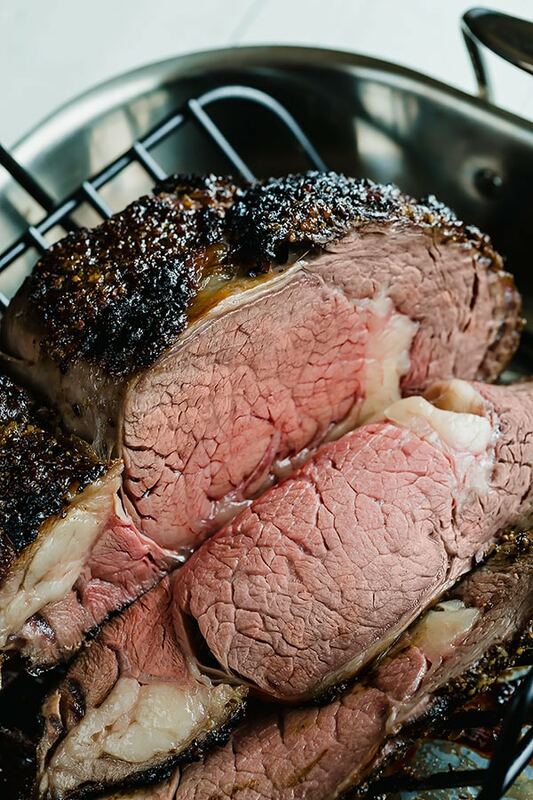 If you’re planning on serving prime rib this holiday season, you’re at the right place. We’re going to cook the easiest and tastiest prime rib roast with a practically fool-proof method. But you’ll still need a trusty meat thermometer! Even if you’ve never cooked this glorious cut of meat, don’t you stress about it. I know it’s intimidating, but I’m going to show you how to roast an evenly cooked prime rib with gorgeous crispy crust! Reverse-searing method has completely changed my life when it comes to roasting a prime rib. 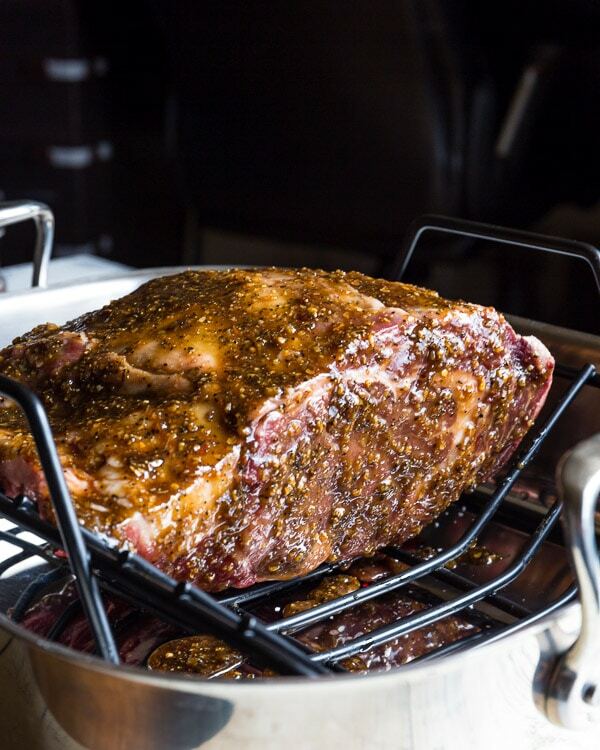 If you’re not familiar with this method, check out this post on how to roast a perfect prime rib. And then read the comments -> rave reviews!!! 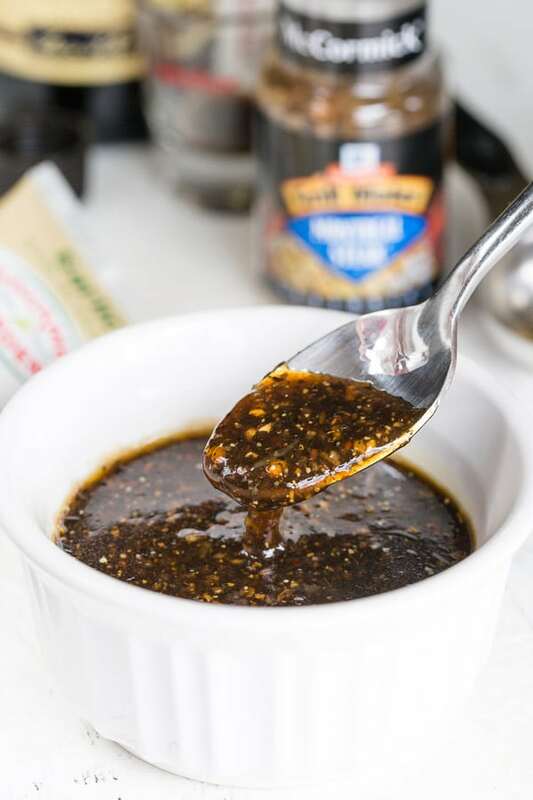 This time, we’re going to season our roast with an amazing spice mixture of olive oil, Montreal steak seasoning, brown sugar, Worcestershire sauce and garlic. You’ll love the beautiful balance of heat, salt and sweetness! Smear that delicious spice mixture all over the roast and pop it in the oven, preheated to 200°F. That’s right, low and slow is key to evenly cooked prime rib through and through. This juicy, melt-in-your-mouth tender prime rib roast is going to be the star of your dinner party!! How much prime rib per person should I buy? General rule of thumb, plan on serving 1/2 pound of meat per person. But I suggest adding an extra pound for just in case (plus, leftover prime ribs isn’t a bad thing at all!). So, if you’re having 8 adults for your dinner party, buy 5lbs boneless prime rib. If you’re going with a bone-in prime rib, plan on 2 people per rib. Bring the prime rib to room temperature before roasting. It’ll take about 2 hours out on the counter. Mix olive oil, Montreal steak seasoning, sugar, Worcestershire sauce and garlic until smooth. Then evenly spread the mixture all over the roast. Place the prime rib on a roasting pan fat side up. (I use this roaster, and highly recommend it.) Roast the meat in the oven until the center of the roast reads 120°F (50°C) on a meat thermometer for medium-rare, or 130°F (55°C) for medium doneness, about 3.5-4 hours. Meanwhile, increase the oven temperature to 500°F (260°C). 10 minutes before serving, pop the prime rib into the oven, uncovered, and cook it until it’s nice and brown, and crisp on the outside, about 6-10 minutes. Rest for 10-15 minutes before slicing and serving. 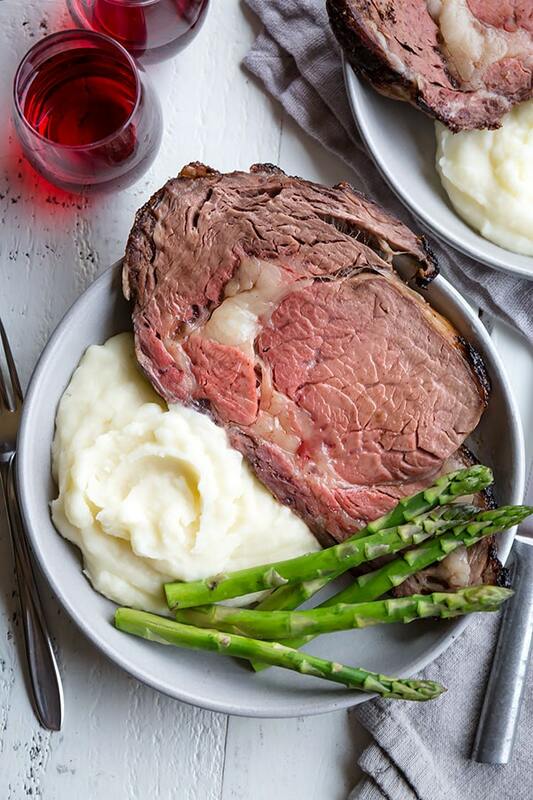 What to serve with prime rib? And besides potatoes this Warm Quinoa Brussels Sprouts Salad and Creamed Corn are great options too.